I am proud to serve as the State Senator from Illinois’ 9th Senate District. I hope you’ll find this site a useful resource in keeping up to date with what’s happening in our district and in Springfield. Please contact any of my offices with questions or ways I can better serve you. SPRINGFIELD – Patients will have improved access to mental health care under a bill sponsored by State Senator Laura Fine (D-Glenview). Senate Bill 2085, mandates insurance providers include a Collaborative Care Model (CoCM) in their coverage. A creates a team approach consisting of a primary care doctor, a care manager such as a nurse or social worker, and a psychiatric consultant. This approach treats common mental health issues such as depression and anxiety that often require frequent and systematic follow-ups. The bill was approved by the Senate with unanimous bipartisan support and now heads to the House of Representatives. 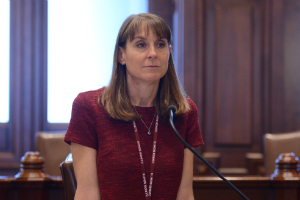 SPRINGFIELD – Certain state employees would be required to live within the state of Illinois according to a bill sponsored by State Senator Laura Fine (D-Glenview). Senate Bill 1639 establishes a state residency requirement for state workers hired after Dec. 31, 2019. If a new hire is not a resident of the state, they will have a three month grace period to establish residency. In addition, the bill gives the Director of Central Management Services the discretion to waive the residency requirement if the employee can prove that their non-residency has a just and reasonable cause. The bill would not affect third-party contractor employees or any employee hired before Jan. 1, 2020. It was approved by the Senate with 53 votes and will be sent to the House of Representatives. SPRINGFIELD – A possible loophole affecting abused minors in DCFS care would be closed under a bill sponsored by State Senator Laura Fine (D-Glenview). Senate Bill 1116 fixes gaps in the language of a current statute that leaves open the potential for abuse to go unpunished if the survivor reaches their 18th birthday before the scheduled court date. This has happened in the past in rare circumstances. SB1116 closes the loophole to allow the cases to be brought to trial, regardless of when the minor comes of age. The measure passed the Senate with unanimous bipartisan support, and will move to the House of Representatives for consideration. 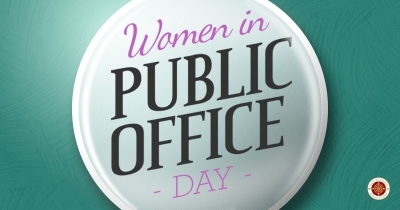 SPRINGFIELD – To honor women in public office, State Senator Laura Fine (D-Glenview) passed a resolution declaring March 28, 2019, as Celebrating Women in Public Office Day in Illinois. Senate Resolution 271 supports the success of women in public office and encourages the people of Illinois to support women in public office. There are currently 64 women in the Illinois General Assembly, which is 36 percent of the body’s membership. According to the National Conference of State Legislators, this puts Illinois 11th in the US in terms of women officeholders in the state legislature. The resolution passed the Senate unanimously and is therefore officially adopted.